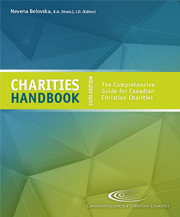 A Canadian registered charity is exempt from paying income tax and may issue charitable tax receipts to donors. In order to obtain charitable status, a charity must first be organized. This can be by a variety of ways, including by trust, corporation, or Act of Parliament. The documents that create a charity (referred to as “governing documents,” “originating documents,” or “constating documents”) must contain the objects or purposes that are exclusively charitable according to Canadian law. The charity must exist for the public’s benefit. Provided these basic criteria are met, the charity can apply to Canada Revenue Agency (CRA) for registered charitable status. To complete the application, the charity will need to outline its proposed activities (which need to connect to the objects) and what resources will be needed. A CRA guide is available to help with completing the application form. What’s the Difference Between a Charity and a Non-Profit?